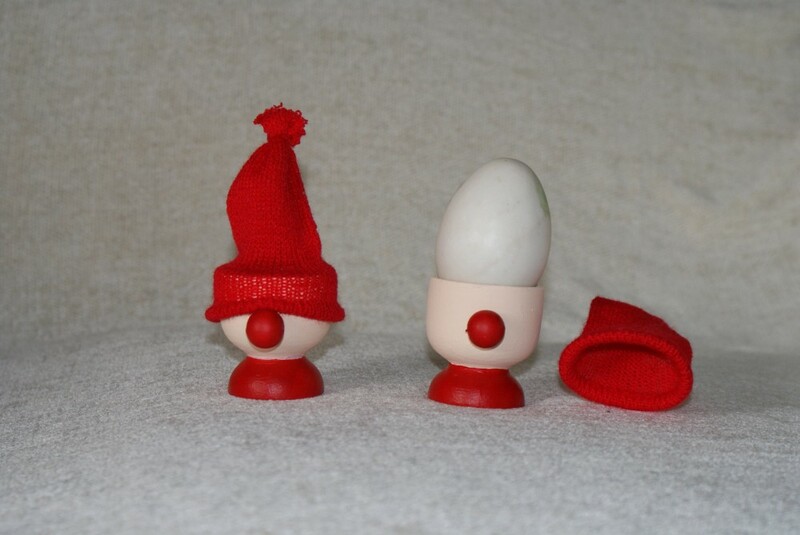 Home / STORE / Miscellaneous / Nisse Egg Cup And Cosy. These charming Nisse egg cups have a red woolen hat to keep your egg warm. The egg cups are wood, the base painted red, the neck and cup painted flesh with a red wood bead nose. These have been varnished for more durability.